Discover how YOU can make real money owning real assets (like real estate!) using your retirement account. And here’s the best part … Tax-FREE! 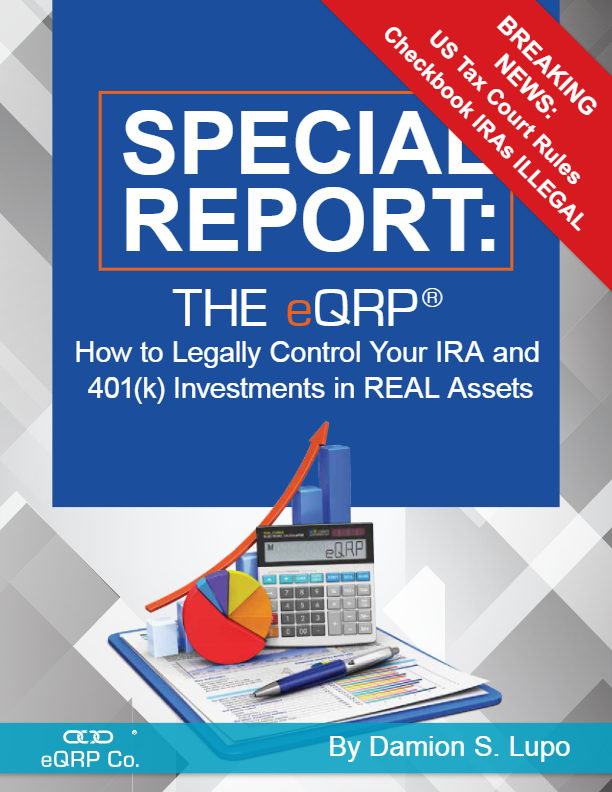 We’ve asked Damion Lupo at Total Control Financial to prepare a special report to share with our listeners how YOU can make real money in real estate using your retirement account … And here’s the best part … Tax-FREE! REAL LEVERAGE: Want to invest in Real Estate and use 90% or even more leverage (a private mortgage) to super-juice your returns, cool, you won’t get hit with the UDFI tax that you’ll have to pay if you use a self directed IRA to invest in Real Estate using debt. REAL LINE OF CREDIT: You get a $50,000 line of credit against your assets, you can write yourself a check for up to $50,000 any time you want, no bank qualifying, no credit approval. Tap into your assets on demand for any reason. REAL PROTECTION: Your money is wickedly protected against bankruptcy or creditors who would sue just to get to your assets. ERISA law gives you iron clad protection. REAL OPTIONS: You get to use your retirement money to invest in almost anything imaginable. No more mutual fund only options. Invest in any type of real estate, in the United States or internationally, precious metals (that you hold), private loans, private businesses, commodities, tax liens and so much more. REALLY TAX FREE FOREVER: Use the Roth QRP to invest and grow wealth for generations and never pay tax on the gains you AND your heirs make, literally opting your family OUT of the tax system for the next century.